A baroque vase with large fruits and flowers drapes decoration all around, the four seasons scene. On the top vase a leaves detail decoration. Classic vase present in a lot of Palladio Villa's around Vicenza and Venice area. 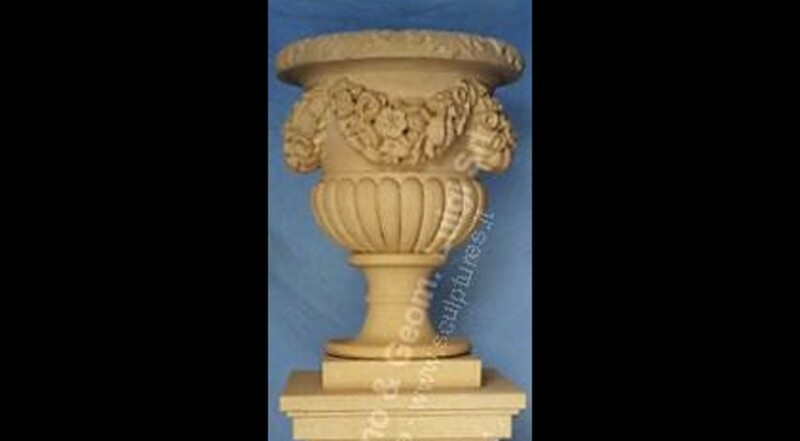 Classical base design.